Or which way now for internationalisation? In a recent opinion piece in THE, I argued that genuine internationalisation, including building campuses overseas, was challenging but achievable and required a sincere long term commitment. Others have been asking some hard questions about the whole idea of internationalisation. So, has it lost its way? Is it the end of internationalisation? Or is it just having a mid-life crisis? Is the internationalization of higher education suffering from a midlife crisis? Jane Knight, a professor at the Ontario Institute for Studies in Education at the University of Toronto, posed that question during a standing-room only session provocatively titled “The End of Internationalization?” Thursday at the NAFSA: Association of International Educators conference. Knight proposed a deeper discussion about the values underlying internationalization of higher education, which she suggested have shifted over the years. These shifts, she said, have been from cooperation to competition, mutual benefit to self-interest, exchange and partnership to commercial trade and activity, and, as illustrated by the rise in influence of global rankings, from capacity-building to status- or prestige-building. I prefer a simpler distinction – the good, the bad and the ugly. 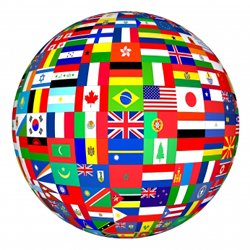 Internationalisation is a clumsy word used to describe a wide range of activities, some of which we should be very proud of, and others best left in the shadows. But first, we need to dispose of the rhetoric. The overwhelming majority of universities were established as national institutions – for example, the big civic universities here in Britain and the land-grant universities in the US. They were not spontaneously created somewhere in the international ether. There is an urgent need to reset the compass of internationalisation, to steer towards the good and away from the ugly. Not only is this morally right, it is also probably in the best long-term interests of the sector. Has internationalisation really lost its way? I think this is something of an over-simplification. It is about focusing on the right values, as suggested here by Jane Knight, but also about long term commitment. With the right approach internationalisation can be genuinely good rather than ugly.